Views of Saint Paul’s hidden past to be revealed through Portals to the Past during the River Balcony Prototyping Festival on Saturday, September 10 from 2:00-6:00. 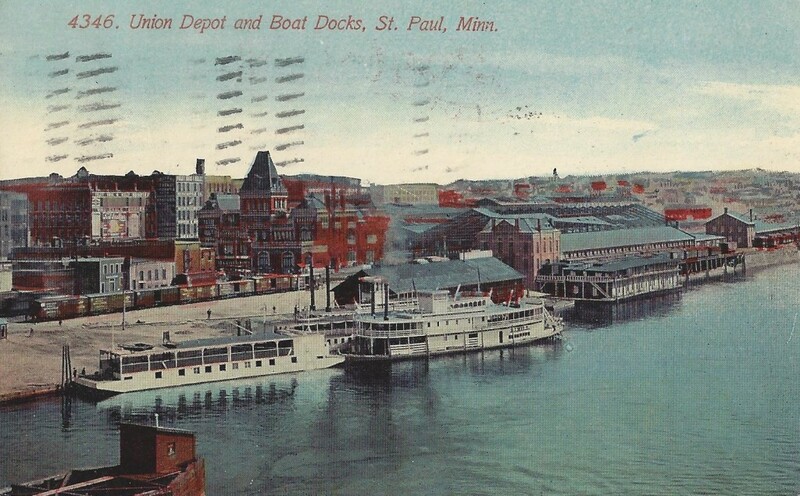 Ramsey County Historical Society’s (RCHS) Portals to the Past was just named one of the winning selections for the River Balcony Prototyping Festival in September. Festival-goers will travel back in time through Portals along Saint Paul’s downtown River Balcony, providing a glimpse of what Saint Paul was like at different points in the last 150 years. Remember as a child choosing your favorite reel to take you to new places through your View-master® or inserting a quarter into a tower viewer to see the magnified animals at the zoo or cityscapes from the tops of iconic buildings? RCHS’ Portals will take people back in time as they travel along the River Balcony with a combination of new technology and familiar panoramic tower-viewers. User-friendly interactive experiences will provide dramatically different perspectives of the city and the river. Users will be able to view historic photographic vistas presented in a series of nostalgia-inducing panoramic tower-viewers, interactive digital “frames,” motion-activated projectors, and cutting-edge smart-phone apps. Placed so that the historic image matches the vantage point along the River Balcony, the public will have the opportunity to compare before and after, and experience “traveling through time” from early Saint Paul history to the present day. Each interactive location will feature several images whenever possible, and will cover a diverse range of history from the mid-19th century to the early 21st century. The first Portals will be unveiled during the River Balcony Prototyping Festival on Saturday, September 10 from 2:00-6:00 pm. “One of the great features of these Portals is that they can be used throughout the city and the web-app version will be entirely customizable by users – they will able to add their own locations over time, all over the city,” continues Roberts. During Saint Paul’s first River Balcony Prototyping Festival on September 10, the sidewalks, plazas, parks and pathway of downtown Saint Paul’s riverfront will fill with temporary installations for the public to experience and enjoy. The Festival will be an introductory celebration marking the beginning of the development of the River Balcony for the City of Saint Paul. RCHS’ first Portals will be one of 11 installations to be experienced during the Festival. Inspired by New York’s High Line Park, and as outlined in Saint Paul’s Great River Passage Master Plan, the River Balcony will be series of parks and development sites linked by a continuous broad pedestrian walkway along the downtown river bluff from the Science Museum of Minnesota to the Union Depot. The River Balcony will create a dramatic public promenade linking key downtown development sites with restaurants, offices, shops, and gathering places that will overlook the river. The 1.5-mile pedestrian path will accommodate walking, outdoor seating, gathering, and public activities. The River Balcony will contribute to downtown’s economic vitality and extend community life to the edge of the river. The River Balcony Prototyping Festival is the first step in a multi-stage process. The River Balcony will be implemented in phases over several years and will be financed through public-private partnerships. The likely first section of the walkway will be in Lowertown, from Custom House on Robert Street to the Union Depot. The Festival will allow the public to see, hear and experience the chosen projects. For more information, please call the Ramsey County Historical Society at 651-222-0701, or email membership@rchs.com. 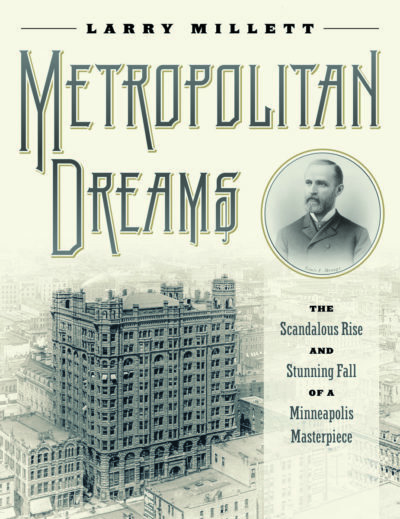 The mission of the Ramsey County Historical Society is preserving out past, informing our present, inspiring our future. The Ramsey County Historical Society offers fun, hands-on programs for children and adults through the Gibbs Farm: Pathways to Dakota & Pioneer Life; creates and curates exhibitions of historical significance at the Landmark Center and other venues; provides documents and research opportunities at our Research Center, also in the Landmark Center; manages a large collection of historical artifacts, photos, and documents; and publishes an award-winning quarterly magazine, books and other publications on the history, people and stories of Ramsey County.